And now to wrap up our week of movies! The Plot: Aang (Ringer), a young successor to a long line of Avatars, learns that he possesses the power to engage the Fire Nation and hopefully end their century-long war against the Water, Earth, and Air nations. This goes up against the new Twilight movie, which might seem like suicide. However, all the girls will flock to Twilight while The Last Airbender will attract the boys - and anyone else who doesn’t like sparkly vampires. The Plot: A trio of orphan girls cause the normally deplorable Gru to rethink his plan to steal the moon. The trailers for this one intrigued me from day one – it looks funny, quirky, and unusual. The Plot: A group of elite warriors are hunted by members of a merciless alien race. After seeing a short ‘making-of’ clip and considering the quality of actors on board, I think this might be a fun return to the flavor of the original Predator. The Plot: Master sorcerer Balthazar Blake (Cage) recruits a seemingly everyday guy (Baruchel) in his mission to defend New York City from his arch-nemesis, Maxim Horvath (Molina). While Cage’s presence worries me, the director is good, and the trailer is damn cool. And after How to Train Your Dragon, it will be interesting to watch the real actor behind Hiccup’s voice. The Plot: Dom Cobb (DiCaprio) is a thief who specializes in the art of extraction, the stealing of secrets from a target's subconscious. Though his profession cost him everything he has ever loved and has turned him into a fugitive, an offer for a final job -- one that requires him to plant an idea instead of pilfering it -- could be his chance at redemption. THIS is the movie event of the summer!! Nolan is one of the most stylish and atmospheric directors in the industry and his track record is perfect. Tell me you haven’t watched these surreal trailers with eager anticipation!? Thanks again to all who participated in The Movie Dirty Dozen Blogfest and thanks to the Hollywood Spy for visiting this week. Next week, I will talk about more than just movies, I promise! Thanks for the head's up about these movies. With a sixteen-year-old daughter, the only one I knew about was Twilight. Good to know what else will be released next months. 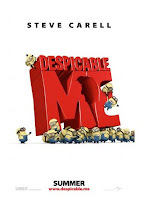 - "Despicable Me" looks adorable! - "Predators" seems like a decent reboot. I want to see, Despicable Me. As you wind up the week if movies thought you would like to know besides having a few new members I got my highest comments on Monday 42 to be exact. Thanks Alex. Thanks for all the great movie tips. When the humidity makes the temp seem impossibly hot, the movie theater is the best place to be! That last movie looks great. I just might go and watch it. I am so looking forward to "Despicable Me". Looking at all the funny trailers and scenes online wants me to watch the whole movie. Despicable Me looks like it has character! Yvonne, that is wonderful! Hope you gained new followers as well. So far reviews say Inception is incredible - and very, very smart. Thanks for the sum-up! I'm really looking forward to the Airbender and Despicable Me. I haven't actually heard about The Sorcerer's Apprentice before - I'll have to check that out! 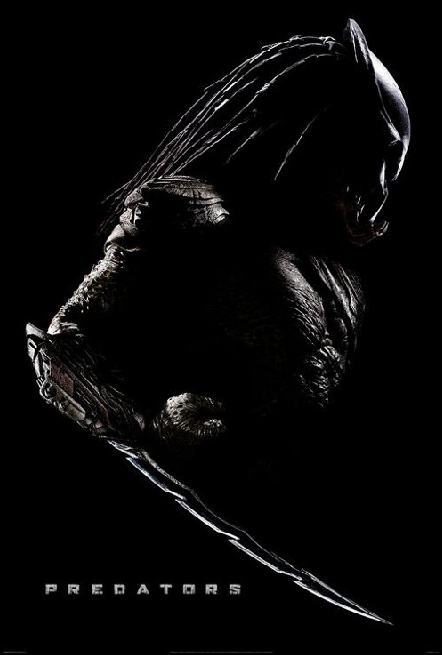 I'm really looking forward to Predators. 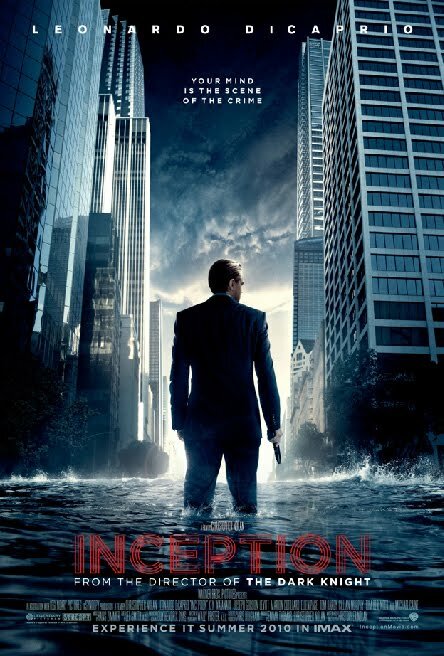 And Inception looks very interesting. Nutty as this sounds, I had not heard of any of these upcoming movies. They all, except Despicable Me, sound like ones I'd like, though. Conceptually Inception is the one that interests me the most and I love the trailers. I am a big Nicholas Cage fan and the previews for The Sorceror's Apprentice look intriguing. Predators sounds like it could have some potential. Last Airbender doesn't attract me so much, but the trailers look like there will be good special effects. Haven't seen or heard anything about Despicable Me. The MOVIE DRTY DOZEN was a great success. Good job Alex!! Honestly, I have never been a big Science Fiction movie fan since the days of Terminator, and Mad Max but lately that is changing. I've seen a few of these previews and am excited. Thanks for more information regarding your picks! I'm going to have to go see Inception. It sounds great. Thanks for the heads up. Dezz, if the IRS shows up, I've nothing to hide. And I've not chosen a side yet. Helen, then this post is for you! Thanks Lee - it was a big hit! Thanks Jemi, I found it. And Inception's been dubbed THE movie event of the year already, ahead of the Potter and Twilight movies. I've heard about most of these and am excited to see them, but you just renewed my interest in a few that I'd forgotten about. Really liking your movie picks so far. Have a great weekend! Looks like some interesting movies coming. I enjoy your Movie Dirty Dozen Blogfest. I'm really looking forward to Despicable Me! And Sorcerer's Apprentice could be good if Nick is more National Treasure than some of his weirder stuff! Sooo excited about the Airbender and Despicable me movies. My kids are absolutely nuts and counting down the days. With Cage's past movies, I think I'll wait to hear the buzz on the Apprentice. I hope its as successful as the National Treasure franchise. For my husband and I...Inception looks good. I like DeCaprio's acting and it may be enough to get us to pay for babysitting to go and watch it. The Last Airbender will need great reviews before I'll go see it! Looking forward to several of these movies. Hi Alex, thanks for your visit and comment, I carry a cell phone for medical reasons, what many people don't know is I'm Epiletic....have been for about 25 years, so one in my pocket is a life saver though I have not had any seizures for a couple of years now. I would prefer an IPAD but that is out of the question at the moment. Inception looks to be a really cool movie. Really looking forward to that one. I'll watch The Last Airbender too. Despicable me too. With the exception of Predators, I'm looking forward to all of those movies. I never got into the whole Predator thing, so it doesn't phase me. I need to see some of the animated Airbender stuff before going to see the movie, methinks. Looks like there's a lotta backstory to get through. Glad to give you new ideas, Amanda. Tart, Cage is okay, just he's had a string of bad movies lately. Would like the trend to end. Beth - like The Wicker Man? Raquel, I will wait for reviews on that one as well. Yvonne, be sure it's on your Christmas list. Jamie, I've never seen any of the series either. And I remember going to see the first Predator, so hoping the new one captures that same thrill. Can't wait to see The Last Airbender, but I loved all of the cartoons. Just finished watching them again with my kids. Good stuff. Inception is going to be freakin' awesome! 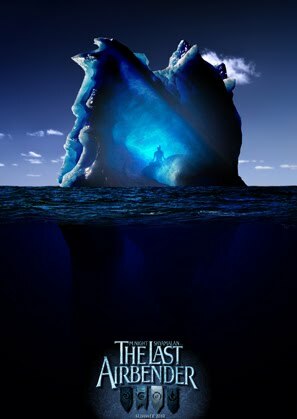 It's been quite awhile since I've been so stoked for a movie as I am for this one, July 16th can't come fast enough! Thanks for the heads up on all the up and comers! The only movie on that list I won't want to see in theaters is Despicable Me. The rest I canNOT wait for! Yay! I love summer blockbusters. i want to see ALL of those movies! Elizabeth, thanks for giving your character such a cool name! And no sparkly vampires for me, either. Bryan, I've been stoked for Inception since last summer! Falen, see them all! You're allowed. I am very geeked up for Predators and Inception. Trying to keep my expectations low, but you can't do worse than AVP2. And for Inception, I hope Murphy has a larger role. The director of Predators is named Nimrod? That must of been a tough name growing up. I am super excited about Inception. I saw a brief trailer last summer and love that Nolan is directing it.